Thanks to a diverse two-day-long programme, the 2017 FPI Professionals Convention has been deemed a huge success. The informative programme included CFP® professionals, economic commentators, insurance and investment experts, political analysts and world-class motivational speakers. 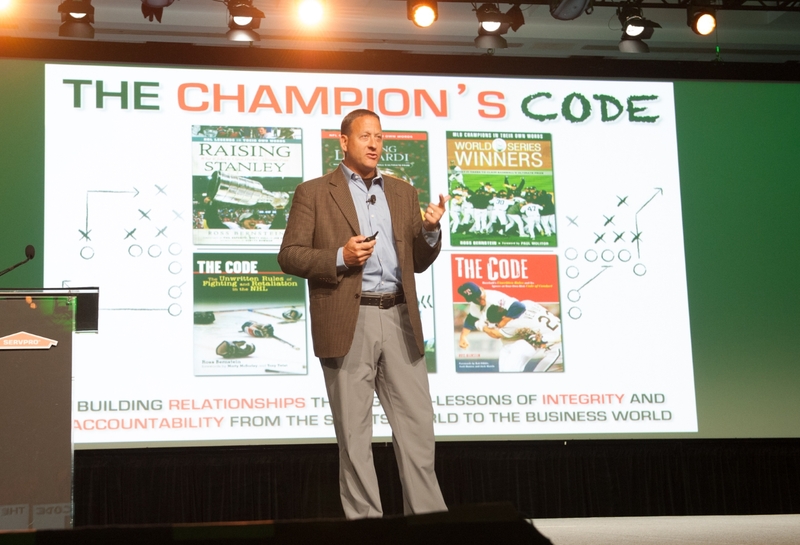 Amongst the many outstanding presenters, Ross Bernstein, the renowned motivational speaker & best-selling sports author, proved to be an instant hit with the assembled financial planners, as he enthused about building stronger client relationships and growing advice practices’ books of business. “Story telling is the key to success in the modern business world – you have to have a story so that clients and potential clients know who you are,” said Bernstein. He warned advisors to follow their dreams or risk spending the rest of their lives working for someone who did. “Life is not about what happens, but how you choose to react – it is about overcoming diversity and doing things differently,” he shared. South Africa’s champion swimmer, Natalie du Toit is a great example of someone with a story to tell. She explains her many achievements through a quote from poet Benjamin Mays: “It must be borne in mind that the tragedy of life doesn’t lie in not reaching your goal – the tragedy lies in having no goal to reach.” Financial planners must share their stories on their digital platforms to encourage clients to do business with them because of the amazing connections that can develop as a result. Bernstein encouraged financial planners to be passionate about charitable work and make sure that they identified personally with these charities. He singled out South African golfing legends Gary Player and Ernie Els as examples, for their donations to cancer charities and autism research respectively. “Charity is a way to build relationships – it is a kind of universal language – but be sure to go beyond merely donating money and offer your time,” he said. Consumers don’t want to be sold; but they love to buy from someone who shares their values. Every financial planner has a personal currency – something that he or she can offer to clients or potential clients. Bernstein’s currency is the 50-odd sports books he has penned over time and he loves giving them away whenever possible. “My books are loss leaders now; but they serve as an avenue to sell speeches,” he revealed. What can financial planners ‘give’ as their currency? The list is endless for those prepared to think outside the box, for example giving of your time, mentoring a youngster who shows great potential, writing a book or giving someone a referral. In each of these cases your return is the positive karma that goes with selfless sharing, with no expectation of monetary reward. Financial planners are involved in ‘showbiz, not tell biz’. Bernstein suggests rethinking every client touchpoint within the financial planning practice, from the person answering the phone to the client-facing wealth planners. Close attention should be given to the practices’ digital assets such as its website. Differentiation is key: “We all say the same things – we offer great customer services, our business is built on values, we are trusted advisors etc. – imagine how much better it would be if you could offer proof of what makes you stand out in the crowd,” he observed. Client video testimonials are incredible tools to build the brand and establish relationships. Always remember that your practice is not about you, but about helping your clients – so ask them questions about how you can make their experience better – and share their compliments when you live up to their expectations. “You must take risks to grow your business”, said Bernstein, before adding that failure was an inevitable consequence of frequent risk taking. “Go and read the bios of every Fortune 500 CEO and you will find stories of failure, failure and more failure, followed by success – it turns out you fail your way to the top,” he said. Financial planners can ensure success by staying focused and avoiding making the same mistakes twice. A calculated risk can be painful; but the reward is amazing when it comes off. FPI includes ethics in its continuous professional development programme, and for good reason – there is a fine line between cheating and gamesmanship in both sport and business and it is important that financial planners never cross that line. “Integrity is doing the right thing even when no one is looking, so follow your moral compass and do the right thing,” he noted. Financial planners have experienced more than their fair share of disruption. In recent years they’ve had to adapt to major regulatory changes while being bombarded by all manner of technology-backed innovation. The latest ‘threat’ is from robo-advisors, and the explosion of companies in the Fintech and Insuretech space. “You will always encounter circumstances that are beyond your control,” Bernstein warned. “And the internet makes it really easy for people to take your stuff [or steal your ideas]”. The best way to deal with change is to place your clients at the centre of everything that you do, treat them fairly and with respect and the rest will take care of itself. There you have it, eight tips to boost retention and onboard more clients. We leave you with some of Bernstein’s closing thoughts: “Work hard, play hard and be present – it doesn’t matter how much money you make if you are not giving back, doing the right thing and conducting your business with commitment, passion and fun. Being a champion is a choice and you get to decide whether your attitude is going to be positive, nourishing, amazing and smiling or negative and toxic. Winning for the sake of winning is fleeting, hollow and not sustainable – and remember, individuals win games; but it takes a team to win a championship”.